Small and midsize businesses (SMBs) want to lower operating expenses and improve application performance. That's why so many of them are counting on solutions and service providers like you to migrate their IT operations to the cloud. Before starting any migration to the cloud, it’s important to conduct a thorough assessment of your client’s IT infrastructure and application stack. Some call this an “applications rationalization” assessment. It should be designed to help you better understand the client’s applications portfolio and create a roadmap to the cloud that fully supports their business. Some of the things to consider during the assessment in include workload requirements for each individual application, service level agreements and whether custom-built applications can be fully supported in the cloud. It’s also important to fully understand your client’s security and regulatory compliance requirements and to make sure those needs can be met. 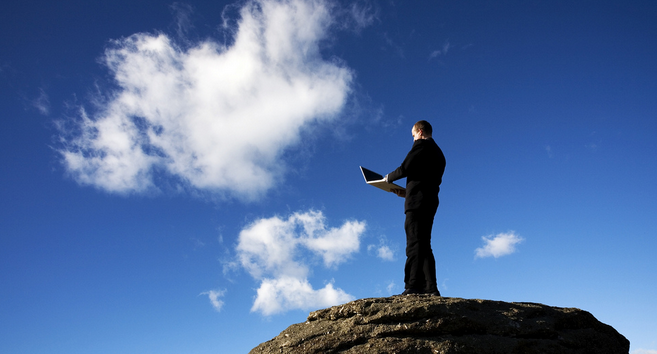 Start simple and begin by moving applications that are a natural fit for the cloud. Those big honking applications can wait until you and the client are good and ready. Some examples of low-hanging fruit are Web applications, collaborative tools, analytics platforms and batch processing systems. By starting small and remembering not to go too quickly, you’ll give your clients a chance to gradually adapt to the new cloud computing environment. It’s easy to underestimate the time it will take to make sure applications will run optimally in their new environment. When an application is running on your client’s in-house servers, it has full access to those computing resources. But once in the cloud, that same app will share resources with many other apps being hosted by the cloud provider. That’s why it’s important not to skimp on the time required to properly tune, test and optimize each app for the cloud. When migrating your clients’ applications to the cloud, it’s important to ask this question: What happens if things don’t work out? It’s relatively easy to put data into the cloud, but getting it out can be complicated and expensive. When evaluating cloud providers, be sure to consider how difficult it would be to move your client to a different cloud service or, if absolutely necessary, back to an on-premises solution. When migrating data from one place to another it’s imperative to have a solid backup and recovery strategy in place in the event of a disaster or data loss event. And whether your clients are running physical servers locally or virtual servers in the cloud, they’re going to need a powerful yet simple backup and recovery system as an insurance policy. That will help your SMB customers avoid the problem of having all of their proverbial eggs in one vendor’s basket. By adding a backup system like Carbonite into the mix, you’re providing clients with the ultimate in data protection and peace of mind. Jessica Couto is Vice President of U.S. Channel Sales & Marketing at Carbonite, a provider of cloud and hybrid backup solutions for small-to-midsize businesses. Learn about the benefits of partnering with Carbonite and apply to become a Carbonite Partner.